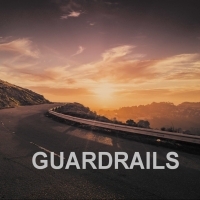 We have begun a brand new series called "Guardrails" about the importance of establishing some personal guardrails in our lives. Relational, moral, financial, and professional guardrails. The reason we so desperately need those guardrails is so that we don't stray into areas of life that have the potential to harm not only ourselves but also the people that we love and care about the most. Which means "future"regrets can be avoided if we're willing to establish those guardrails "now." Join us for this six-week series!